North Battisborough Farmhouse – Battisborough Cross Devon. Bath train station opened in 1840 and was designed and built by the engineer Isambard Kingdom Brunel for the Great Western Railway Company. Built from local Bathstone this Grade II listed station is asymmetrically Tudor in its style with curving gables. 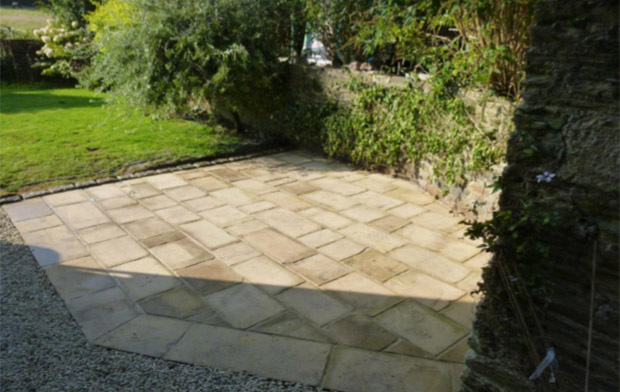 In recent times the station had undertook some alterations to the stonework and although the original stone had been put back during the course of the works, off cuts of stone from these alterations had found their way to a local reclamation yard in Devon. 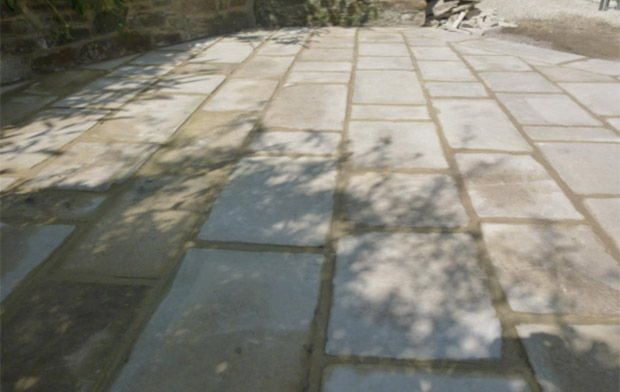 Our client had purchased two pallets of this Bathstone and asked us if we could construct a patio area from it at their farmouse. 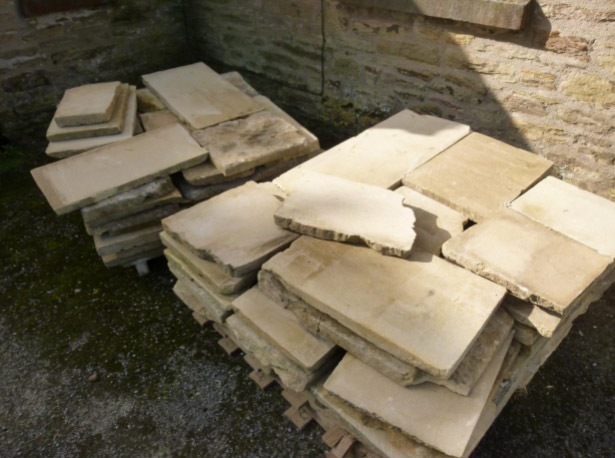 The Bathstone came in random lengths but the widths varied. The majority of them were approximately fourteen inches wide, but some were about twelve inches wide and the average thickness of each piece was two inches. 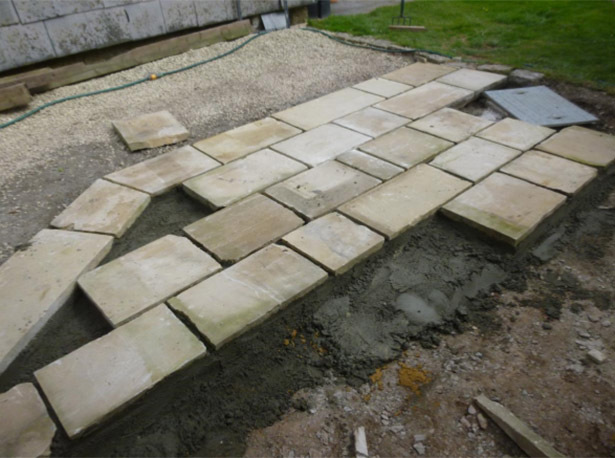 Once on site the first thing to do was to lay the Bathstone out over the driveway to see what we had and it also enabled us to see how to go about laying the new patio. 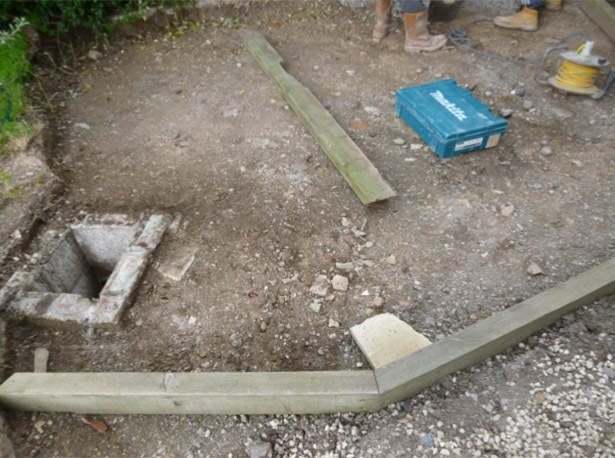 An area where the new patio was going to be laid had already been dug out and prepared for us. 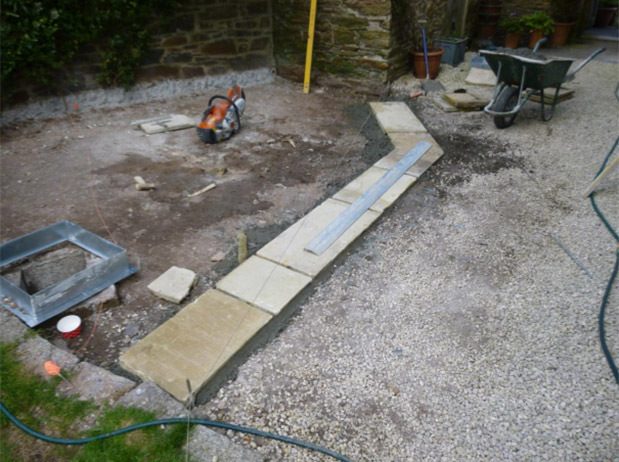 We had to cut back the foundation of a wall to enable us to lay the patio up close to it. 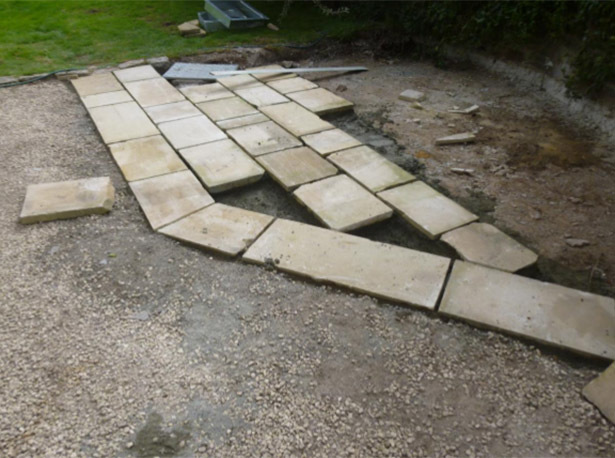 The edge of the patio was set out first incorporating a mitred splay. 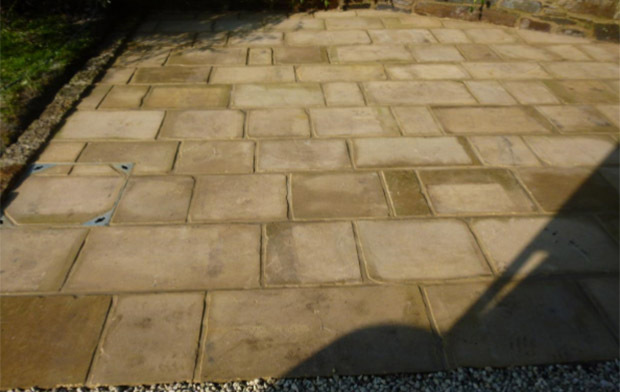 We then proceeded to lay the Bathstone in random coursed rows on a sand and cement screed. 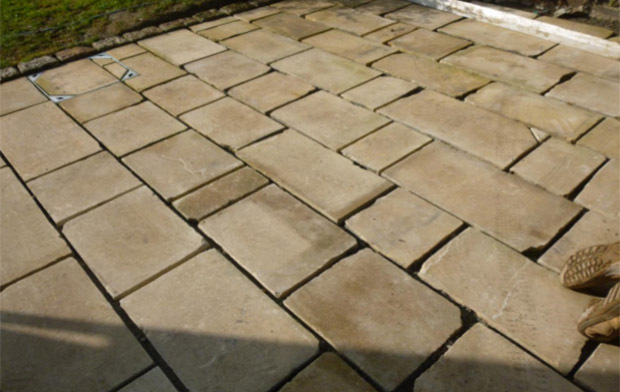 The first two rows were laid in the fourteen inch wide stone and the third row was laid in the twelve inch wide stone, this pattern was then repeated and the joints were set out to an average of one inch wide. 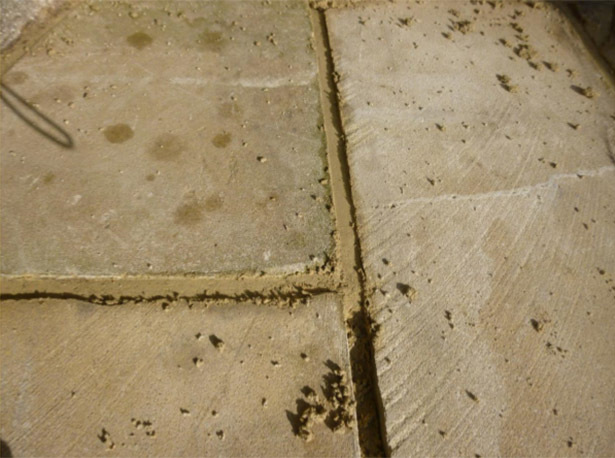 Broken edges and chipped corners were left as this gave the patio character. 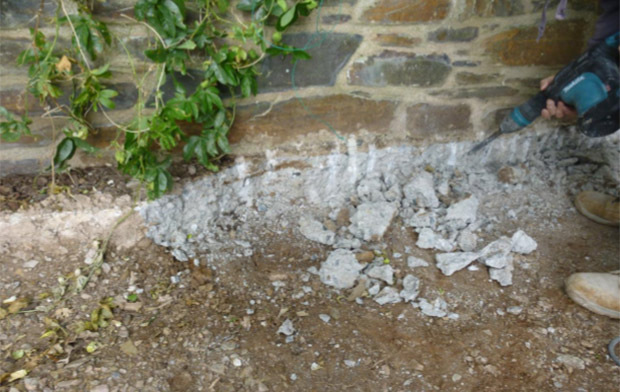 When all the Bathstone was in place we started to point all the joints in a lime based mortar to match the colour of the stone, a very small amount of white cement was added into the pointing mix to make it more durable and the joints were recessed slightly to show the edge of the stone. 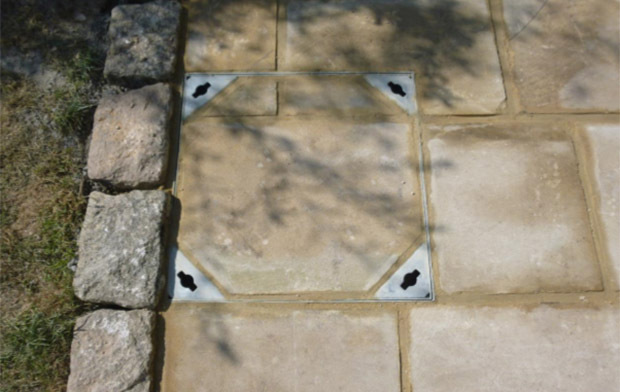 Within the patio was a manhole which served a soak-away so we set in a recessed manhole cover which can be paved and visually this is less obtrusive. 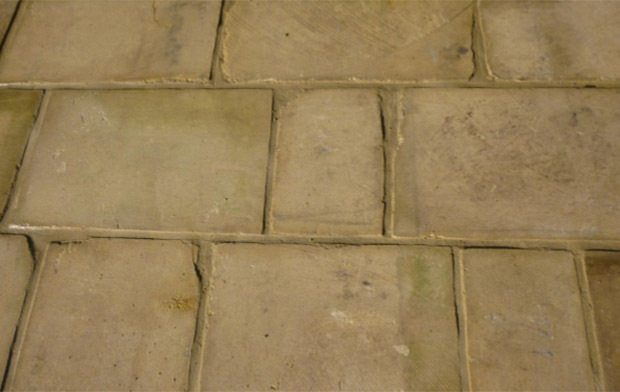 Bathstone is an oolitic limestone made up of small granular fragments of calcium carbonate called ‘ooliths’ (egg stones) and originally quarried from the Combe Down and Bathampton Down underground mines in Somerset, England. 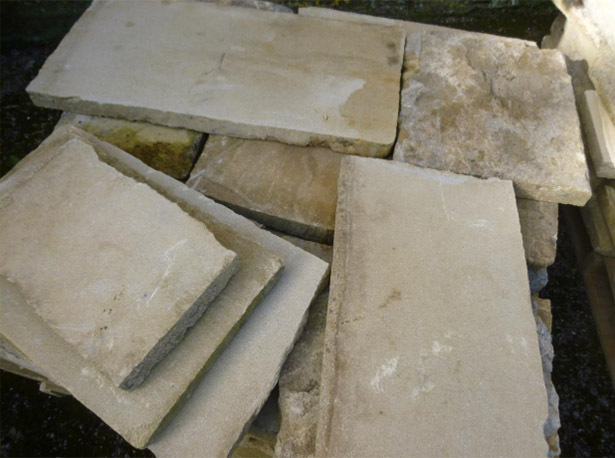 Bathstone was formed 195-135 million years ago from deposits of marine sediment and is known as the ‘Bathonian Series’ of rock. 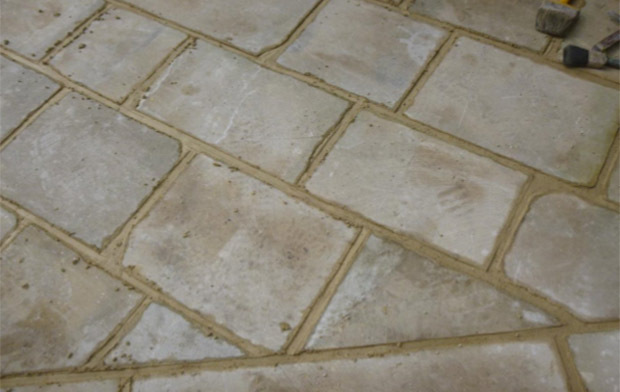 In masonry terms it is classed as a ‘freestone’ which means it can be cut up and squared in any direction and also laid on any plane unlike slate which has layers. 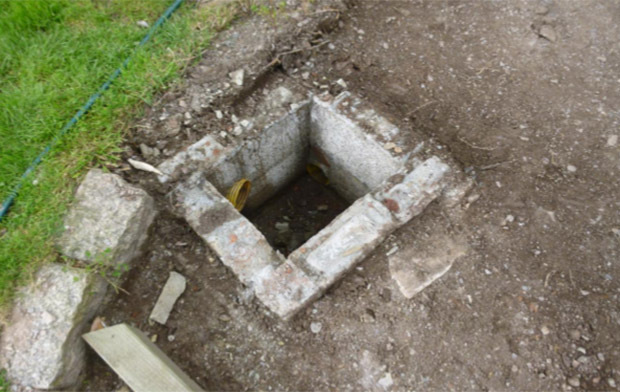 It was used extensively in the Roman and Medieval periods throughout England on domestic, ecclesiastical and engineering projects. 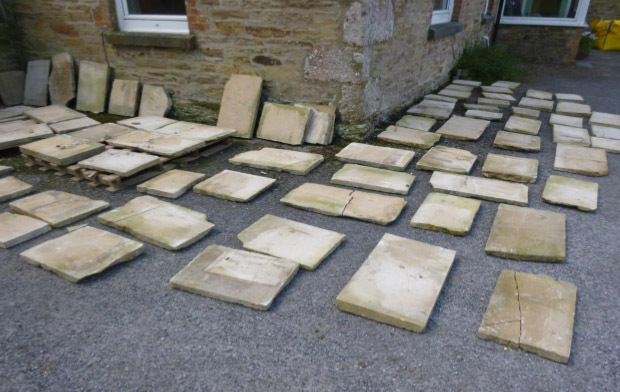 The practice of taking or plundering stone from other structures or buildings to use for new construction is nothing new, it’s widespread and has been around since ancient times. There is a term for this known as ‘Spolia’ which comes from the Latin word ‘spoils’. It has only been in recent decades that the concept of Spolia has become the topic of detailed research in the fields of history, art and archaeology. Any form of re-cycling has to be a good thing.